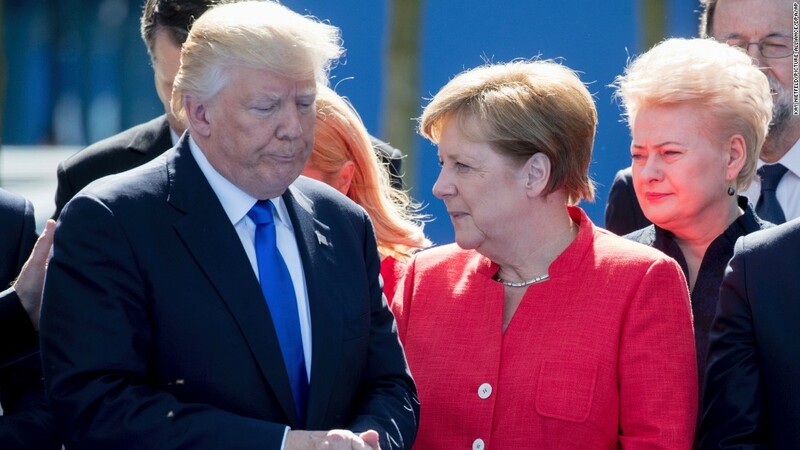 ​ Angela Merkel is unhappy with the United States and Britain, news reports say. She is reported to have said that European countries would have to look inward and not rely on the U.S. and Britain as allies for the future. Meaning that European countries had relied on the U.S. and Britain in the past. But now, the European countries are facing the reality that the time of unnecessary reliance on allies has passed. First, Britain is out of the E.U. The U.S. has been vital in shouldering the payment for the NATO’s activities. But it has issued a bold statement that the E.U. countries should honor their financial obligation to NATO. The U.S., under President Donald Trump, says it is unfair for the country to shoulder financial responsibilities for NATO countries without the former fulfilling their obligation. What is happening is about time, change, impermanence of time and human conditions. When President Trump ran for president, he promised Americans that he would consider America first in all issues and that money spent must first give cognizance to America’s interest at home. He holds fast to this during his first visit abroad as president by boldly telling E.U. countries to pay up money owed to NATO. Yesterday, before Trump’s assumption of office as president, someone else was president of the U.S, and the leadership at that time ensured that America met its obligation to NATO but worried less whether the E.U. countries did the same. The result is that countries like Germany considered a power house in Europe failed abysmally, to honor her financially obligation to NATO. Aside from the latest U.S. demand for a sense of responsibility from the E.U. countries, the political tore in Britain that witnessed the country’s vote in favor of pulling out of the E.U. should have served as a wake-up call to the E.U. countries about impermanence of human affairs. Moreover, President Trump has never hidden his political based on his campaign promises at home and the need to fulfil them. The noise about liberal opposition to Trump’s policies at home against past precedences is loud enough around the world and cannot be said to be hidden. Just as the liberal opposition to Trump’s policies is loud in areas of the U.S., where the liberals hold same way, the support for his policies is loud in areas of the country, where the conservatives hold sway. The liberals are working hard to make Trump’s policies unpopular, but the Conservatives say the liberals are wasting their time, because it is not possible for a party and its supporters that have lost election to force their policies on another party that has won the election. Of course, there is a widespread report of Merkel’s displeasure with the U.S. new policy in relation to E.U. allies. Many Americans aware of Germany’s owing of a large amount of money and failure to pay ask about Germany has not lived up to expectation. It would have been a different case scenario had Germany paid up the money she owed NATO. American tax payers are saying Trump is seeking accountability, and ask about why Merkel is opposed to that. For Americans who live under the weight of working round the clock to be able to pay their bills, which no one will pay for them, say countries too should learn to pay their bills and not expect that a big brother somewhere will take care of their responsibility for them. Some people feel that Merkel wants to encourage a life of E.U. countries dependence on the U.S. and Britain, in tandem with liberals’ sermons of helping the poor endlessly, against Conservatives’ idea of teaching people to use their hands toward self-reliance. Moreover, countries relationships are not based on one country or some countries depending on other countries. It is supposed to be a relationship of equal partnership, where no one country is more superior to others. Manifestly, friends can support friends in emergency. The first people any leader is responsible to are the voters in his or her own country, who have the right to ask that attention be given to their needs first before any other agenda.